They asked if I’d heard of Steigen, Engeløy … which I’ve actually been to (and some of my relatives are from). During the conversation, the older woman told some stories about World War II and what she did during the Occupation. 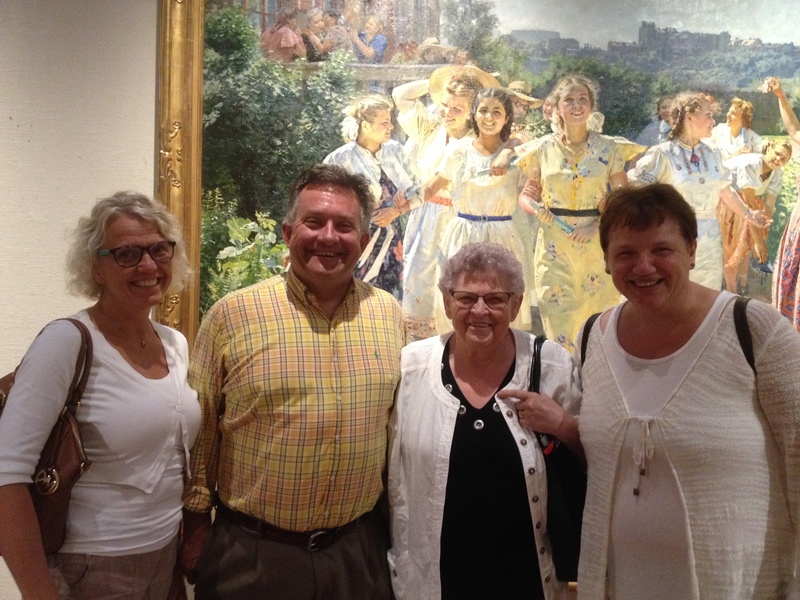 This is the story she told me (as best as I can remember), along with her daughters Heidi and Tone, in front of the Russian Impressionist Painting “Invasion: Enemy at the Door” at the Springville Museum of Art, August, 2014. During the German occupation of Norway, the Germans held Russians prisoners at Steigen, Engeløy, near the coast of the North Sea, about 300 km north of the Arctic Circle. A Norwegian woman, Irene Elisa Nilsen, (later Woll, now Persson), was a 9-14 year old girl during that time. They couldn’t not wave the Norwegian Flag, or celebrate 17th Mai (Norwegian Independence Day), because it was viewed by the Germans as being a protest. She remembers seeing Germans forcing the Russian prisoners to build a road out of rock, surrounding a giant battery gun emplacement at Steigen. The Germans would make the Russians beat their own people with a large stick with metal in it. She had learned enough German and Russian to make the prisoners understand her. One day she saw a Russian guard beating another prisoner, so she went up to him and said “You are beating your own people. That is not right.” She was very brave for a young girl! “The Russian who died was ill. He could not move fast. My Mother, Irene, had a fish with her to give to the prisoners. Other prisoners pointed to the sick man, that Mother should give him the fish, and she then did that. It came to be his last meal. The soldier was the only person in the group with a gun. Mother thinks he felt he had to kill the Russian, who was delaying the whole group. Mum was with five other children following behind. The children turned to go home. But mum turned her face just to see the soldier lift his gun to beat the sick Russian in the head. She lifted her arm as if to stop the soldier, but did not dare to do anything more. The Russian felt dead to the ground just before her feet. 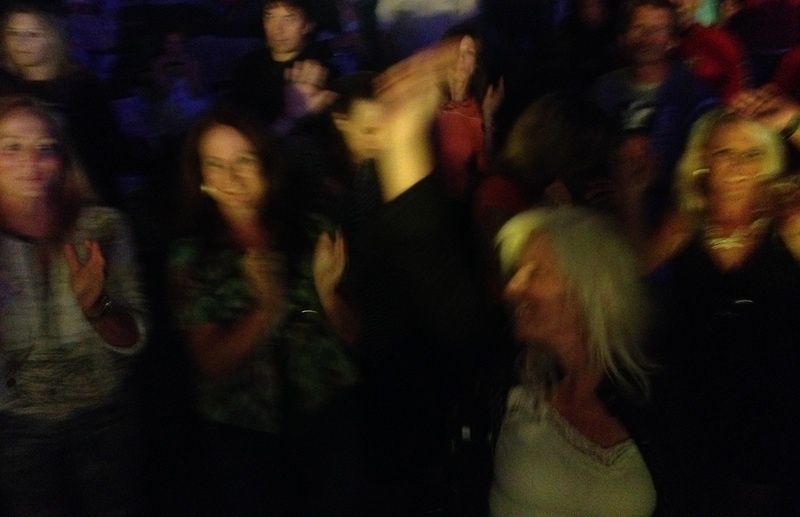 Mum then ran away. One day the Reichskommissar Josef Terboven came through town in a motorcade with 8 cars. He was there to inspect the work. That was a big deal, and he was obviously someone very important. When the Germans lost the war, he sat in a bunker, surrounded himself with dynamite, and blew himself up. During the Occupation, she would sneak potatoes to the Russian prisoners (from her grandfather’s farm) to give them more to eat. She always would ask her mother before she gave the food to the prisoners. She said “I do not know you.” There were about 3000 Russian prisoners, and to her, they were just a gray, nameless group of faceless men. And now I’m connected as well. Note: Doing some further study on Russian POWs in Steigen: More than 500 of them died, many from starvation and exposure. There is a memorial to them.Some of the Russian POW camps were known to have experienced cannibalism during the last part of the war. People who were seen assisting the prisoners, such as giving them extra food or care, were often punished or imprisoned. I didn’t realize how brave and vital this young woman’s actions were. Here’s the photo of us: (Irene, her daughters, and megselv). real smile. Now I know. *It’s a great start to work. this: I will catch you. You are currently browsing the Cyrano Writer: Musings of a Revolutionary Romantic Poet blog archives for August, 2014.